Launched by HTC in late March, the new One M8 smartphone is currently available in three color versions: gunmetal grey, glacial silver, and amber gold. 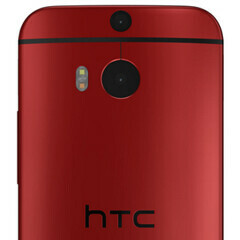 A red One M8 was pictured about a week ago (on its way to Verizon), so that should be its fourth color variant. But it looks like two more will be added, and, according to @evleaks, these are blue and pink.